Olivier Thrierr’s experience in the IP field spans more than 20 years. He has been a French and European trademark and design attorney since 1999. He obtained his master’s degree in industrial property law from the Université Paris 2 Panthéon-Assas in 1994 and from the Centre for International Intellectual Property Studies (CEIPI) in 1996. He began his legal career at a firm in Paris, where he practised trademark and design law for six years, while actively participating in the editorial committee of an international legal publication. 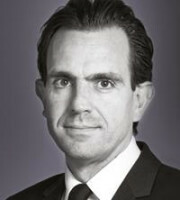 In 2000 he joined another French firm, where he assisted clients in IP acquisition, protection and defence strategies. Mr Thrierr joined T Mark Conseils in 2015 as a partner, to assist European and international clients in the definition of their IP strategies and litigations – in particular, cross-border litigations – and to guide them in IP portfolio management, due diligence, acquisition, exploitation and defence of their rights. Mr Thrierr has strong expertise in brand protection in the luxury goods, apparel, automotive, spirits, food and beverage fields. He is the author of numerous chapters of the authoritative French trademark and design treatise JurisClasseur, as well as of collaborative works with other trademark experts that have been published by LexisNexis and various legal papers, in particular regarding the commission reform trademark package. He is a member of the Board of Examiners for French attorneys and is active in several professional associations. Mr Thrierr is also a teacher of international trademark and design protection at CEIPI. His areas of expertise include trademarks, designs, copyright, domain names, litigation, cross-border disputes, IP audits and due diligence, IP protection in European and Asian jurisdictions, contracts, licensing, unfair competition, the Internet, Uniform Domain Name Dispute Resolution Policy proceedings, oppositions and trademark searches. He also has experience in the banking and finance, food and beverage, nautical, biotechnology and biology, cosmetics, electricity and electronics, IT, luxury goods, medical, fashion and pharmaceuticals sectors. Mr Thrierr speaks and reads English and French and reads German.